Robert P. Johnson, 77, passed away Friday, November 30, 2018. The husband of Wanda Johnson, he was born January 20, 1941 to the late Robert and Clara Eckman Johnson in Johnson City, New York. 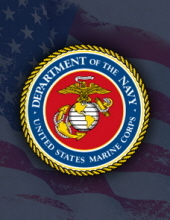 Robert was a member of St John’s Episcopal Church and a proud veteran of the Marine Corp. He spent 26 years working for IBM, another 10 years with TI in Versailles as a Master Mold Maker before his retirement at the age of 72. After retirement, he taught briefly at BCTCS. Robert enjoyed being a part of the Marine Corp League and a member of Trout Unlimited, attending events and meetings when he wasn’t out fly fishing or traveling around the world to destinations such as Europe, Alaska and Asia with his lovely wife Wanda. In addition to his wife of 30 years, Robert is survived by his children, Diane (Jeff) Hargash, CO, Denise (Rick) Pettibone, CO, and Eric (Denise) Wellinghoff, IL; sister, Lynne (Ed) Hannegan, NC; grandchildren, Taryn Shay, Tory Hargash, Tyler and Anthony Pettibone, and Trey (Lauren), Samantha, Nolan, and Sophie Wellinghoff; and 3 great grandchildren, Averi and Waylon Wellinghoff, and Alara Pettibone. In addition to his parents, Robert and Clara, he was preceded in death by his two precious dogs, Madison and Maddy. A Memorial Service will be held 11:00am, Saturday, December 8, 2018 at St. John’s Episcopal Church, Versailles, with The Rev. Dana Lockhart officiating. A reception is to follow the service. The family would like to extend a special thank-you to Dr. Barry Schumer for his excellent care and to Mitch Curd, his therapist and Matt Ehler, his assistant therapist for giving him dignity to the end of his life. To send flowers or a remembrance gift to the family of Robert Paul Johnson, please visit our Tribute Store. "Email Address" would like to share the life celebration of Robert Paul Johnson. Click on the "link" to go to share a favorite memory or leave a condolence message for the family.